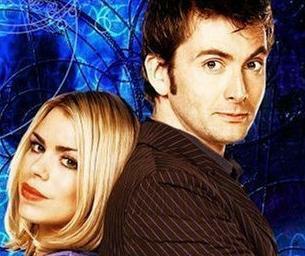 10th Doctor & Rose. . Wallpaper and background images in the The Doctor and Rose club tagged: the doctor rose tyler 10th doctor doctor who ten bbc david tennant billie piper. This The Doctor and Rose photo contains portrait, headshot, and closeup. There might also be attractiveness, appeal, and hotness.